Just yesterday I was speaking with a colleague about some graphics cards on the test bench in the PCSTATS labs, and specifically about how large, loud, and bulky the cooling packages were. As I tried to describe these bulky contraptions with a combination of animated sounds and hand gestures, it struck me that most people really don't think of videocards as a major source of heat in the computer. But if you think about the number of transistors in a modern-day GPU, it becomes quite apparent that cutting edge videocard GPUs are often more complex than the computer processor! Large fans, or simply faster spinning ones help boost cooling capacity, with a catch. Adding a bigger fan is a simple solution, and the downside is the noise those nice large fan blades stir up. While one could argue whether gamers would notice when fragging away at 300fps with 7.1 channel speakers fully raging... quieting down the videocard for every other waking minute the computer is on is certainly going to get noticed. ASUS has caught on to all of this, so instead of shipping its Geforce 7800GT videocard with a noisy VGA heatsink and putting consumers in a position where they'll spend another $50 on a silent after market heatsink, this Geforce 7800GT comes completely silent right out of the box. The new ASUS EN7800GT Top Silent 2DHTV/256M costs a bit more than the stock ASUS EN7800GT 2DHTV/256M/OSP/A, but with its 'SilentCool' heatsink it's well worth it. Behind the mass of metal is an nVidia GeForce 7800GT GPU and 256MB of 1.6ns GDDR3 memory - the Asus EN7800GT TOP Silent/2DHTV/256M is guaranteed to be fast with a package like that. The nVidia Geforce 7800GT graphics engine runs at 420MHz, and the GDDR3 memory follow suit with a clock speed of 1.24GHz (620MHz DDR3). 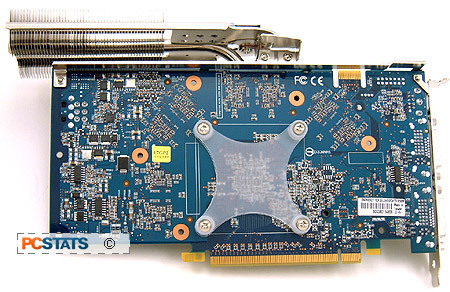 Utilizing a standard PCI Express x16 slot, the max resolution supported by this GPU is 2048x1536 pixels. The EN7800GT Top Silent supports the usual GeForce 7800GT stuff like dual DVI output, VIVO capabilities, component output (Y, Pb, Pr) and a decent software package is bundled in. Care of its innovative 'SilentCool' VGA heatsink, it's technically a dead silent videocard too.